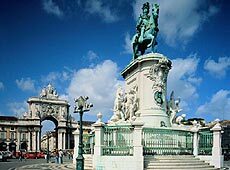 One of the few European capitals with both a river and a coastline, Lisbon has Praça do Comércio square as its main meeting area. The city has always been ready to welcome new visitors and to bid a fond farewell to those departing, something that was never truer than when saying goodbye to sailors at the time of the great Portuguese maritime discoveries. 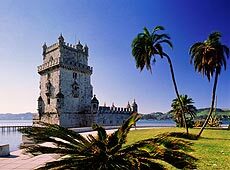 This is why there are many important Manueline monuments shining in the light of Lisbon and its surrounding region, such as the Torre de Belém and the Mosteiro dos Jerónimos. The modern leisure area of the Parque das Nações proves that Lisbon still maintains its close links with the river today. Here, for example, you will find the distinctive mark of Álvaro Siza Vieira on one of the buildings that hosted the last world exposition of the 20th century, dedicated to the theme of the oceans. In contrast to this, do not miss the picturesque mediaeval quarters of Alfama and Mouraria, above which stands the castle. This castle, matched by Bairro Alto on the other hill, leads down to the downtown city centre known as the Baixa Pombalina. 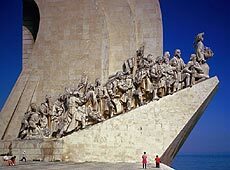 Lisbon is also at the centre of a region rich in diversity. 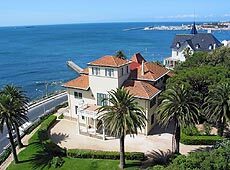 Just outside the city are the seaside resort of Estoril and the romantic hills of the Serra de Sintra, where the perfect bond between palaces and nature led to the area being classified as a world heritage site. It is the sea, the climate and the stunning nature that give this region its peculiar energy. Its many parks and nature reserves encourage visitors to spend time in the open air, enjoying the peace and quiet of a round of golf or the adrenaline buzz of surfing. Perhaps this is why Lisbon is a city that is full of life. Here people have an exuberant party spirit, doing things spontaneously for the sheer pleasure of spending time in the company of others. Begin with the pleasures of the table, by enjoying some of the very best fish and seafood dishes. It’s quite likely that you’ll be invited to taste one of the regional sweets or desserts, or one of the delicious nectars that are produced here - the region has four special wine routes, with such famous wines as Bucelas, Colares, Quinta da Bacalhoa or Periquita. In many places, you have special pedestrian areas where you can walk and soak up the atmosphere or just simply shop in comfort. You’ll be won over by the charms of Cascais, Sintra, Óbidos, Caldas da Rainha and Santarém, that’s if you don’t want to travel too far from the capital. In all of these towns, you’ll find excellent shops, selling everything from the major international brands to the most traditional local handicraft. And don’t forget: there are all kinds of cultural events on offer. Concerts, ballet, theatre, or just a trip to a bar or a discotheque, are amongst some of the different possibilities. There are also the many ancient traditions that are still very much preserved, such as the festivities held in honour of the local patron saints in June. But, of course, you can just simply enjoy sitting on the terrace of an outdoor café. We know that you’ve enjoyed the region’s great beauty, and we’re just as certain that our suggestions have also been to your liking. Try a glass of moscatel wine from Setubal and end your trip in the best possible way. 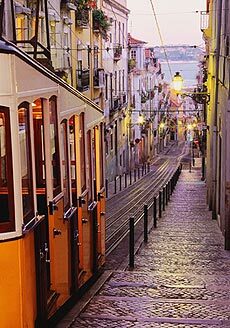 Fado is, by its very nature, the song of Lisbon. It was taken to the four corners of the world by the famous diva Amália Rodrigues, considered the best ever exponent of a very Lusitanian soulful yearning. Inspired by a very personal sentiment, a soul that is felt but not explainable, Fado remains the most noble and genuine expression of popular Portuguese culture. And given this very special nature, Fado is always a surprise for visitors to Lisbon. Fado is fado and cannot be otherwise categorised. It is the music that issues forth from the Portuguese soul. In the amateur fado houses, which again thrive in fado’s spiritual home of Alfama and other traditional neighbourhoods such as Bairro Alto, the fado singer is never invited; he or she makes her own invitation. Similarly, there is no pre-set line up. A grilled smoked sausage is served to accompany a few glasses of wine before the lights go down and the magic of such gatherings bursts forth. June 13th is St. Anthony’s day and the 29th to St. Peter - three great excuses for coming to see how we celebrate saints’ days in Portugal. Saints’ days are full of fun and merriment. The streets are decorated with balloons and arches made out of brightly-coloured paper; people dance in the city’s small squares, and altars, dedicated to the saints, are put up as a way of asking for good fortune. 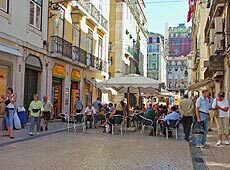 In Avenida da Liberdade, there are the Marchas, a parade of the inhabitants from the city’s different traditional quarters. There are hundreds of singers and dancers and a vast audience applauds their favourite participants. Meanwhile if you are attracted to someone, declare yourself to them in the heat of the festivities and offer them a manjerico (a flower-pot with a sweet basil plant) and a love poem.